This 3 tier (6″-10″-14″ ) will feed around 100 people. 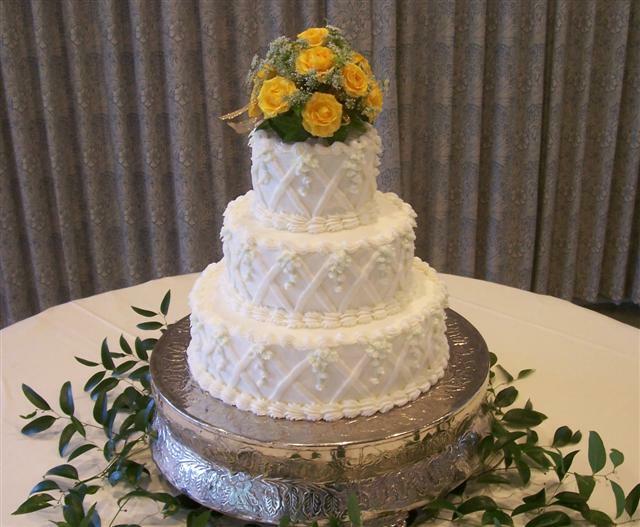 A criss/cross lattice and lily of the valley design. Cake flavor-golden butter cake with almond butter cream. Fresh yellow roses on top.